The Cheapest HDMI Cable – HOT!!! We all know what a HDMI cable is. We also know how much fun we can have with high quality gaming devices or HDTVs. You should know that all Xbox models (Xbox 360 Arcade, Xbox 360, and Xbox 360 Elite), PS 3, Satellite receivers, Blu Ray DVD players, etc ship with HDMI. If you want to enjoy the benefits of this revolutionizing technology, you will definitely need a HDMI cable. One of the main benefits of this technology is the quality of image. Until HDMI appeared, digital sources sent signals through analog cables, downconverting the signal. The HDMI cable works with digital signals so it will offer a superior and cleaner image. 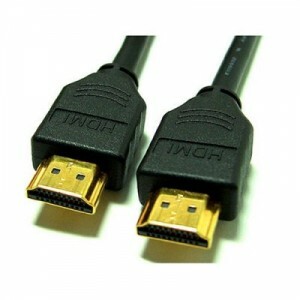 Another main benefit is that a HDMI cable is a single cable carrying both audio and video signals. Now, HDMI cables are pricy, so you need to find one of the cheapest while still keeping an eye on quality. We have just found the perfect HDMI cable for any of your HD sources. I must admit we were a little surprised of its price and performances. It supports resolutions of up to 1080P, which is astonishing at just $0.08. This cable is sold at $39.99, so you save $39.91. Incredible! Get it here while you still have the chance! That's right Aryel! There are a lot of companies that overprice their products. This is why I am trying to find the best deals available and post them here. Many people now have the chance to buy products at their real value. Looks a pretty cool HDMI cable. Hope there are still available stocks.